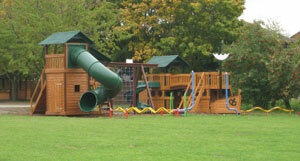 Lowbrook Academy is situated in a quiet cul-de-sac on the edge of a private housing development. Cox Green School and Manor Green School are in close proximity. Lowbrook Academy consists of a large central hall around which are the teaching areas, each with a door leading to the grounds. The school is on one level with no steps or stairs, with wide entrance doors for wheelchair access. We have a purpose built Art Room. 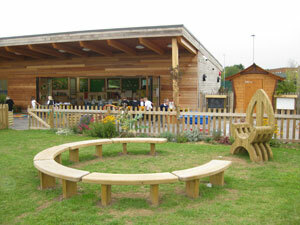 In 2009 our Eco Classroom was completed with provides additional teaching areas and a conferenced area. In 2016 our Pavilion was completed and provides a high quality teaching space for our Year 6 children. New classrooms at the front of the school were added in 2013 and 2017 respectively and now provide classroom accommodation and break out areas for our Year 4 children. This year, we aim to have fully redesigned the former temporary year 4 classroom into an innovative and multi-purpose Interactive Learning Environment for both the pupils and teaching staff to utilise throughout the school day. As well as furnishing this Interactive Learning Environment, we also aim to refurbish the 6 classrooms in the 1978 part of the building with new lighting, carpets and re-painting of walls as necessary. This will be undertaken over a 3 year rolling programme. We have a large well stocked library and a network of computers and ipads spread out among the classrooms. Each classroom is equipped with an interactive whiteboard and laptop. Audio visual equipment and musical instruments are used throughout the school. Our extensive grounds provide us with the children’s playground and equipment, pirate ship and tower, adventure fun run, football and tag rugby pitches, netball courts and amphitheatre and a large playing field. The wildlife, which include the pond area, nature trail, bird boxes and many trees and shrubs add to the school’s atmosphere of tranquillity and welcome. We are fortunate to be able to provide a high quality of school lunches, which are served in the main hall.